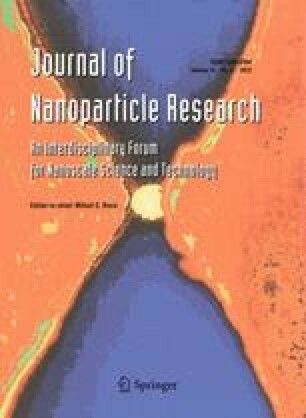 The evolution of the particle size distribution and the surface composition of silicon carbide and titanium carbide nanoparticle (NP) dispersions were studied. The pre-dispersions were prepared using two commonly used protocols for dispersion: stirring and sonication. Two dispersants were investigated (water and Pluronic F108 1 %) at two stages: pre-dispersion and during in vitro assays. Our data show that for each tested condition, different time-dependent results for the surface chemical composition as well as size and percentage of the agglomerates and the primary particles are observed. De-agglomeration and successive or simultaneous cleaning-wrapping cycles of the nanomaterial are observed and are related to the dispersion method and the medium as well as to the chemical stability of the NP surface. Biological response during in vitro assessment was also performed for one given pre-dispersion time condition and demonstrates that the preparation method significantly alters the results. The online version of this article (doi: 10.1007/s11051-012-0815-7) contains supplementary material, which is available to authorized users. This work is supported by the “Direction Générale des Technologies de la Recherche et de l’Energie” (DGTRE) of the Walloon Region of Belgium (Nanotoxico Project, RW/FUNDP research convention No. 516252). O. Toussaint is a Research Associate of the Belgian FRS/FNRS. The authors acknowledge financial support from the European Union under the Framework 6 program under a contract for the Integrated Infrastructure Initiative. Reference 026019 ESTEEM and Framework 7 program, Qnano (INFRASTRUCTURE-2010-1-262163).